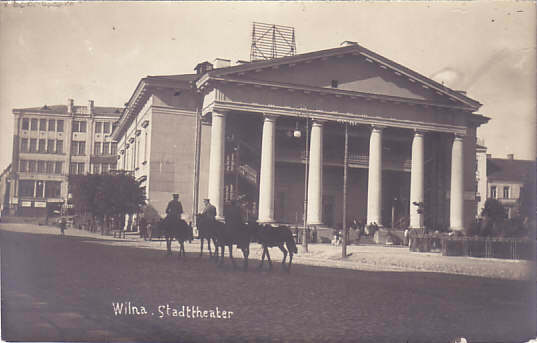 Town hall of Vilnius, built 1799 by Laurynas Gucevicius. 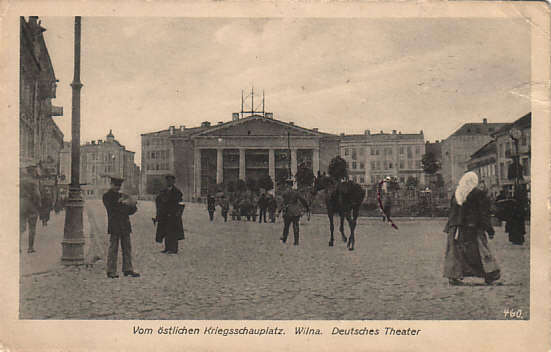 1845-1924 used as municipal theatre. Handwritten Reverse Text: mentions the operetta "Der Graf von Luxemburg"